Civil-Military Leadership Dialogue and Discussion program, Washington, D.C., March 25, 2019: (left to right) U.S. Representative Austin Scott (GA), U.S. Representative Ken Calvert (CA), U.S. Representative Kay Granger (TX), U.S. Representative Donald Norcross (NJ), General David L. Goldfein, U.S. Representative Tom Cole (OK), U.S. Representative Steve Womack (AR), U.S. Representative Jim Cooper (TN) and U.S. Representative John Garamendi (CA). 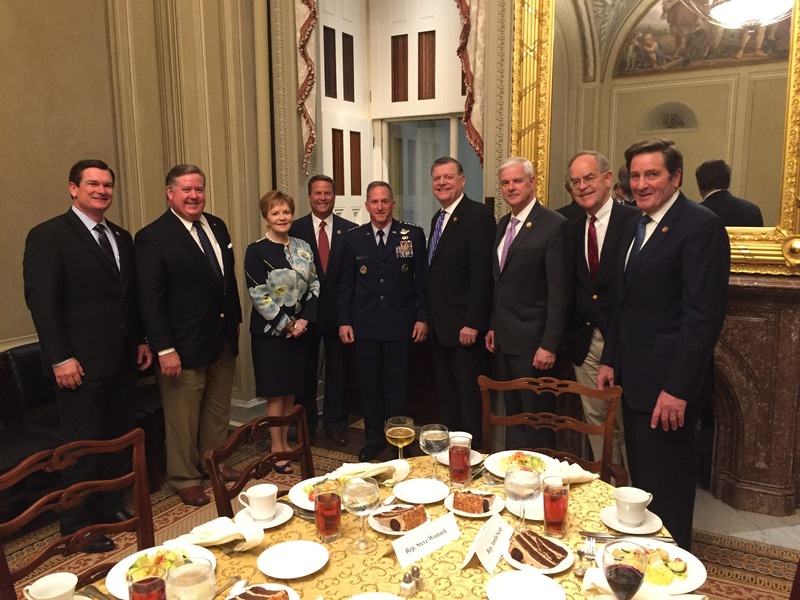 On March 25, 2019, the Stennis Center for Public Service conducted a Civil-Military Leadership Dialogue and Discussion program in Washington, D.C. This program brings together top leaders from the military and U.S. Congress. 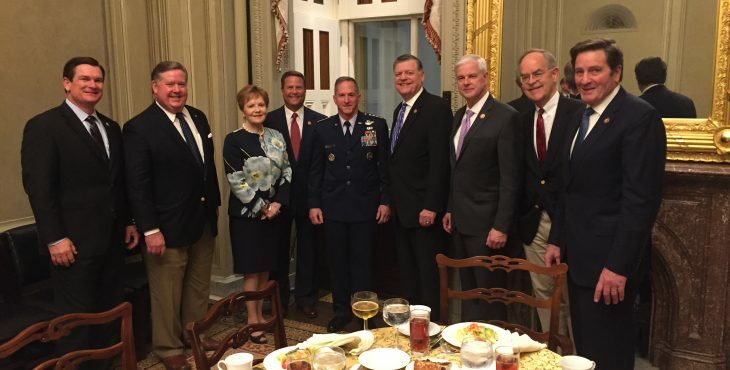 U.S. Representative John Garamendi (CA) and U.S. Representative Tom Cole (OK) co-led the program, in addition to David L. Goldfein, Chief of Staff of the U.S. Air Force. Others in attendance included Congressmen Don Bacon (NE), Rob Bishop (UT), Ken Calvert (CA), Jim Cooper (TN), Donald Norcross (NJ), Austin Scott (GA), Steve Womack (AR) and Congresswoman Kay Granger (TX). Historically, military participants have included the Chairman of the Joint Chiefs of Staff, the Chief of Naval Operations, the Secretary of the Navy and numerous Flag Officers. U.S. Senators and Representatives, cabinet secretaries and distinguished writers have also participated in the program throughout the years as well as more than 100 senior level congressional staff members. The purpose of the Stennis Center’s Civil-Military programs is to connect U.S. Senators and Representatives to military leaders and enable them to learn more about military life, values, institutions, and culture. These programs provide meaningful opportunities for military and civilian leaders to engage in dialogue and build relationships that increase awareness and understanding between the military and civilian spheres of responsibility.